American Photographic Artists (APA) is a 501(c)(6) not-for-profit association for professional photographers. The American Photographic Artists is a leading national organization run by and for professional photographers. 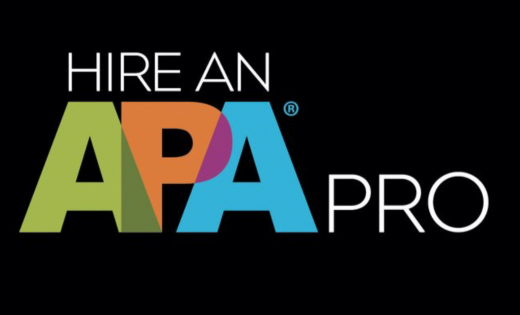 With a culture that promotes a spirit of mutual cooperation, sharing and support, APA offers outstanding benefits, educational programs and essential business resources to help its members achieve their professional and artistic goals. Headquartered in Santa Fe, NM with chapters in Atlanta, Los Angeles, Chicago, New York, San Diego, San Francisco, Charlotte, the Northwest and Washington, DC, APA strives to improve the environment for photographic artists and clear the pathways to success in the industry. Recognized for its broad industry reach, APA continues to expand benefits for its members and works to champion the rights of photographers and image-makers worldwide. Members include professional photographers, photo assistants, educators, and students. We also welcome professionals engaged in fields associated with photography, advertising, or visual arts but who themselves are not professional photographers. Membership types can be found here, frequently asked questions here. APA began in 1981 as Advertising Photographers of America. In June 2010, the name was changed to American Photographic Artists to reflect the growing diversity of our membership. Our founding members, educated through the school of hard-knocks, started APA with the vision of mentoring the next generation of visual communicators. Now in our fourth decade, APA provides the tools that help members navigate the complex world of commercial photography and run a smarter, more creative and profitable business. Original board members included; Russell Kirk, John Pilgreen, Michael Raab, Larry Robins, Jim Salzano, Steve Steigman, Bill Stetner and Michael Weinberg. In June 2010, the name was changed to reflect its growing need for a moniker that more accurately represents is current and future membership. Whether one is an advertising photographer, editorial, fine art, landscape, architectural shooter, or any kind of photographer, affiliate or assistant whose commerce is the uniquely crafted image, then American Photographic Artists, still known as APA, is the organization which aspires to support your success in the photographic arts. Credit: designed and developed by Mister, Base and And Then Some.